When you think of Brighton you usually concur up images of hot sunny days on the beach, enjoying a BBQ or eating fish and chips (and fighting off the sea gulls! ), but sadly that wasn’t the case on the day of Dayna and Ross’ rainy Brighton photography shoot. 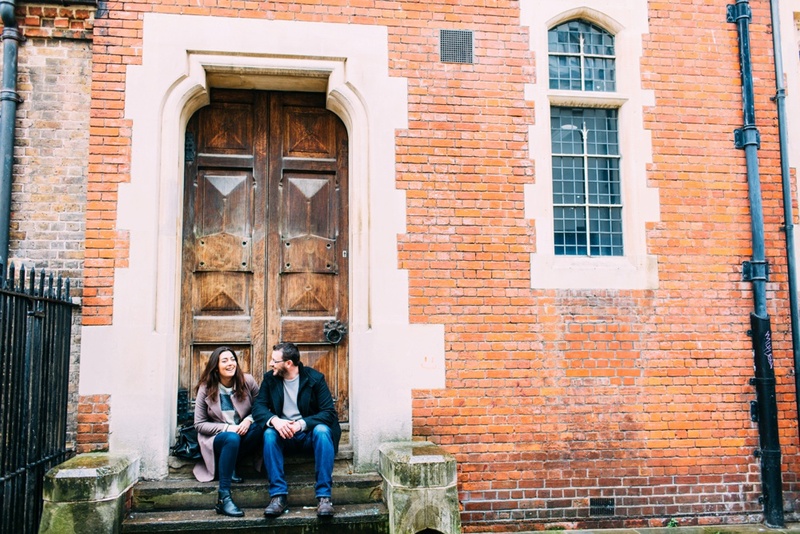 I love meeting up with my wedding couples for their pre-wedding shoot, as it’s a great way to get to know each other, and you get the chance to get used to having your photo taken by me so that you feel more relaxed on your wedding day. 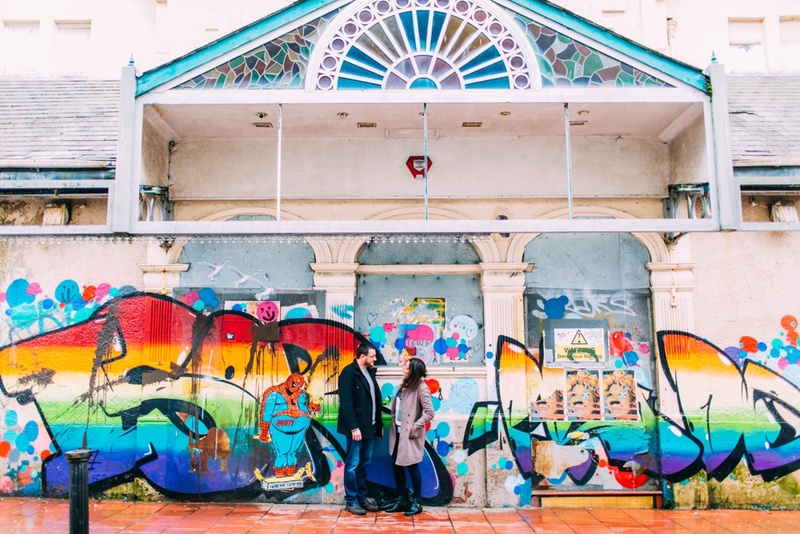 However, it’s fair to say Dayna and Ross usually hate having their photos taken, so were feeling less than enthusiastic to start off with as we wandered through the rainy streets of Brighton looking for some interesting graffiti (and some cover from the rain!) to brighten up the otherwise very grey day. I’d previously shot a wedding reception at The Coach House which is next to the below abandoned building that is covered with graffiti, and I remember it having rain cover, so we headed here first. And within a few minutes their initial awkwardness started to fade as I stepped back to let them relax and just laugh and chat together, whilst I snapped away. 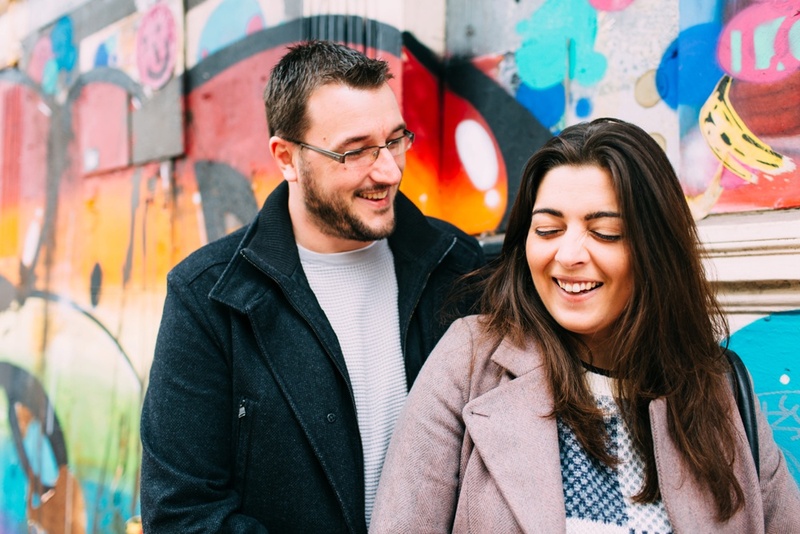 My aim is to make you feel as comfortable as possible when having your photo taken, so that your smiles and laughs are natural- which is when you look your best! Most couples worry about what the weather will be like on their wedding day, especially (and understandably) if part of your venue is outside. But a rainy Brighton photography shoot is nothing to fear, and if needs be there is usually a gap in the rain when can you go outside or down to the beach for your photos- or just stock up on umbrellas in advance and embrace the rain! If you want to see more of the lovely Dayna and Ross you can click here to check out their Royal Pavilion Brighton Wedding.